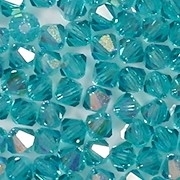 Size/shape: 4mm (long) x 4.5mm (wide) faceted bicones. Bicones are like two pyramids joined at the base, with the hole running through the centers of the pyramids. 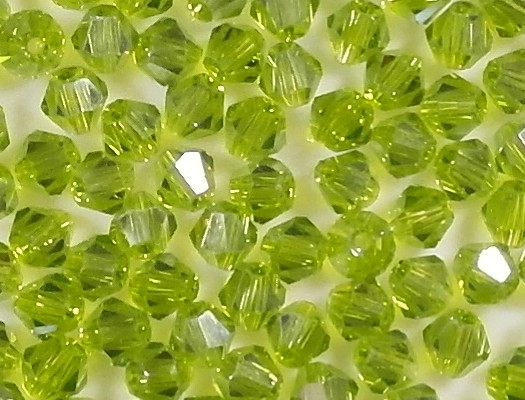 Unlike molded bicones, which have 4 sides, cut-crystal bicones have 7 sides. 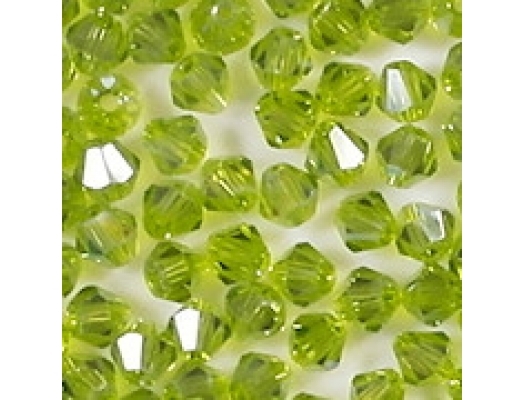 Colors/description: Translucent chrysolite (similar to lime or light olive) with a silvery iris coating on part of each bead. 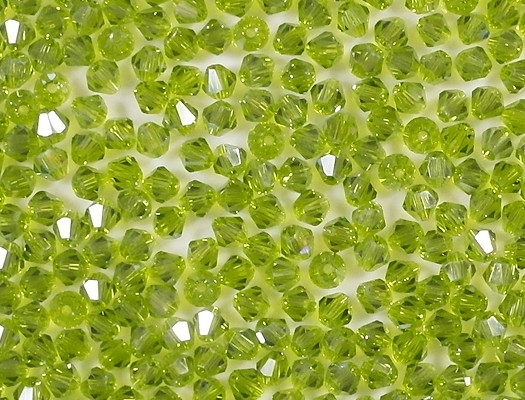 Iris coatings are multi-colored. Defects: Bicones should be symmetrical from one end to the other, but with Chinese bicones, some are shorter on one end. 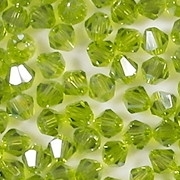 Also, some beads may have defects around the holes, and an occasional bead may be lacking facets around one of the holes. 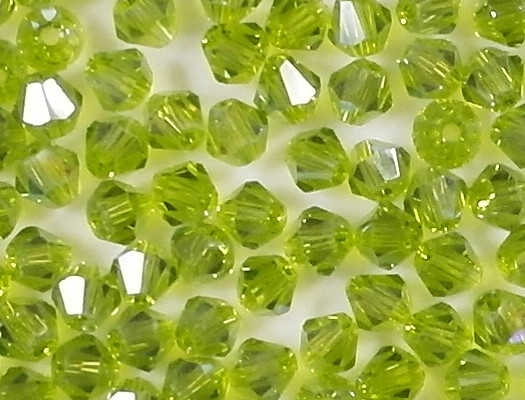 However, Chinese bicones are one-third the cost of Czech bicones, so it is worth dealing with more defects. Comments: My picture is accurate, although it does not show the iris coating well. I'm getting as many colors as I can in this size.